Buying a house in your 30s can seem like something of a pipe dream. Media reports of increasing house prices, high interest rates for first time buyer mortgages and lack of housing have you writing off owning a home before you’ve even looked into it. Buying property seems like something your parents and previous generations could do; to you it appears impossible. The process of buying a house can also seem rather daunting too. But with some simple financial planning and/or support from the government, you could be on the property ladder in no time. 1) Savings: Set up a monthly direct debit from your current/main account to your ISA/savings account. Synchronise it to come out on the day you normally get paid. You won’t really notice it leaving your account and even if it’s just a small sum, it soon adds up. 2) Financial planning: See a professional. A new set of eyes on your budget and goals will help clarify steps you need to make to achieve your homeowning dream. A trained personal financial advisor like those at IMC is able to give you bespoke advice whilst setting out a plan for you to live by and work towards. Right to Buy: Right to Buy is for tenants in England, Wales and Northern Ireland who rent their home from their local council. It allows qualifying tenants to buy their home at a discount. The discount amount varies depending on where you live and the type of property you want. Shared ownership: Shared ownership lets you buy a share of a home from the landlord, who is usually the council or a housing association, and rent the remaining share. 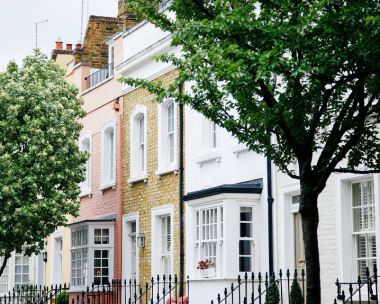 Help to Buy London: The Help to Buy equity loan scheme is a government scheme set to run until 2020. It’s available to first-time buyers as well as homeowners looking to move – but only for new builds. Starter Home scheme: The Starter Home scheme is a new government plan where 200,000 new build homes are available to first-time buyers under 40 years-old with at least 20% off the market price.